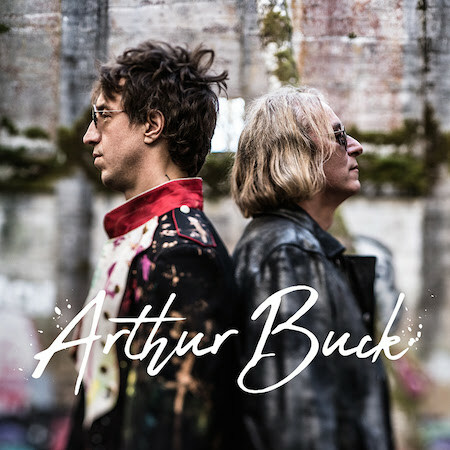 How appropriate that Joseph Arthur and Peter Buck titled the lead track on their self titled album “I Am The Moment.” Because that’s how their collaboration happened — in one gloriously unplanned creative burst while Arthur was hanging at the R.E.M. guitarist’s home in Todos Santos, Mexico. A few days and a few gigs later, they had eight songs, then went stateside and completed more. Buck’s guitar and Arthur’s programmed rhythms were recorded in Portland, Oregon, then producer Arthur added vocals and all manner of overdubs back at his New York home. The result is sometimes sublime, sometimes noisy and chaotic. The opening title tune sounds thrillingly like an R.E.M. song, thanks in part to its melody and the unmistakable chime of Buck’s guitar. Too bad if they hate the comparison, but even Arthur’s background vocals conjure images of Mike Mills. “Are You Electrified” features more of Buck’s distinctive guitar, though it’s unclear who did those searing electric solos. Regardless, it’s got a groove, with assertive, yet not overwhelming percussion. That’s an issue elsewhere; Arthur can be downright heavy-handed with electronic blips and other noise. “Wide Awake In November,” which carries hints of Roxy Music, and “Can’t Make It Without You” are slightly less cluttered; on the latter, Buck’s acoustic strumming again receives some well-deserved focus. Maybe it’s coming; maybe not. In the meantime, these two are having a fine time making music in their moment.